We’ve reached the end of the A Day in the Life Series!! Last, but definitely not least, we’ll be exploring the role of a Visual Designer! In the UX field, visual designers focus on the visual aspects of the user interface (UI). They use design elements (colors, icons, patterns, etc.) to help enhance the hierarchy and interactions on a screen and to set the tone of the site or app. By nature, they also do some level of UX/interaction design. How much UX design they do can vary depending on the project or the company. Additionally, many visual designers focus on design standards to ensure parity across multiple products and brand consistency. Join us as we welcome our speakers Adrienne Gajownik and Nancy Jin, Product Designers at Citrix as they provide more insight on their role. We’ll also be doing a tour of the Citrix office as part of the evening! The Citrix Raleigh office is in the Warehouse District of Downtown Raleigh. We have ample free parking in the parking deck, which you can enter from S. West Street. This is a gated deck, so hit the call box button to bet let in. The security office will ask for your name - MAKE SURE YOUR FIRST AND LAST NAME ARE USED ON THIS MEETUP (If you don't want your full name listed here, you can email me through meetup.com). There’s also street parking available. When you arrive, enter in through the first floor (level CY on the elevator) and sign in at the security desk - they will have a roster of attendees for the event. RSVP to the event here. We will close the RSVP list by noon on the day of the event. Please be kind to your fellow members and update your RSVP to “No” if you cannot attend the event. We know it’s easier to be less accountable for free events, but we really like to keep these events free to advocate for UX in the community. We really trying to avoid imposing a fee or a 3-strikes policy to hold people accountable. Adrienne Gajownik is a Sr. Product Designer at Citrix where she focuses on creating a delightful yet consistent experience. She has 10+ years of design experience which spans projects from building brand identity systems to art directing photo shoots to designing desktop applications. She graduated from the NC State College of Design with a Bachelor of Graphic Design. 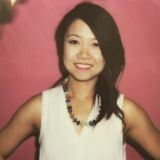 As a Lead Product Designer at Citrix, Nancy Jin spends most of her time on interaction and visual design for web and mobile applications. Nancy’s love for graphic design started at 11, when she made her first website. Since then, she has graduated from NC State College of Design in 2009, worked on branding, web design and development, and now product design. Each month, we'll explore a different role in the UX field. This gives an opportunity for you to learn about what people do in that particular role, ask them questions, and participate in activity to “test drive” what it’s like to be in this role. Join this meetup to be the first to know about upcoming events! This event series is brought to you by exploreUX and Triangle UXPA. The event is co-sponsored by Citrix.